In Pastrix Paula White Set To Be Crowned Queen here at Apprising Ministries I first began covering what turned out to be a rather odd story, which actually broke during Super Bowl weekend. There we found out that Florida Courier was carrying a story indicating that “Rabbi” Ralph Messer was supposedly going to crown White queen “during a Super Bowl Sunday service” at New Destiny Christian Center, the other “church” where she is pastrix. I hadn’t really intended to spend a whole lot of time with this kind of lunacy in the Lord’s Name; but I need to cover the story because of it’s connection to the Elephant Room 2. ER2 essentially ended up to be a spiritual version of scripted docudramas known as Reality TV. You’ll see clear evidence in There’s More To The Resignation Of James MacDonald From Gospel Coalition that a major reason why MacDonald resigned from TGC was to embrace Word Faith mogul T.D. Jakes as his Christian brother. The overwhelmingly positive response to ER2 has now virtually made Jakes a mainstream evangelical. As such, people now need to understand that Jakes’ WF associations can now legitimately be introduced into evidence as we begin to examine his Christian character and teachings. The truth this “inter-faith” STBM is a rather confusing mishmash; in addition there’s strong evidence suggesting Messer denies the Trinity as a modalist himself. Even so, the report of Paula White possibly being crowned Queen by Messer gained enough legs that Christian Post reporter Nicola Menzie would end up covering it. 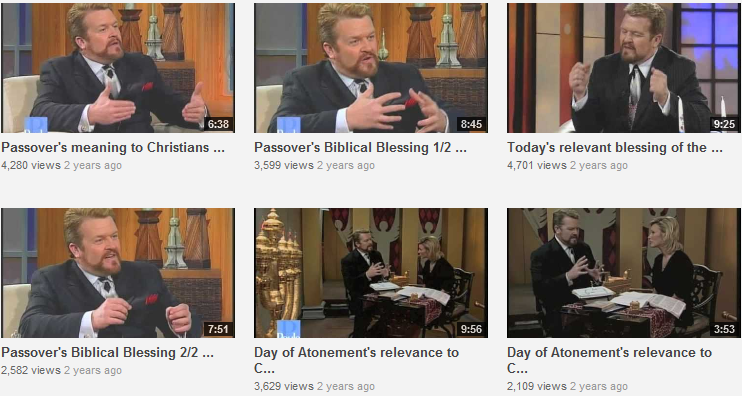 In the past, Pastor Paula has interviewed Rabbi Messer on her television show. one of the leading experts—internationally known foremost, greatest teachers God has raised up for such a time as this—of the Torah, Rabbi Ralph Messer. 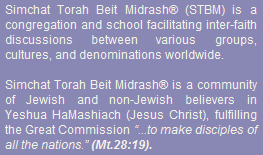 Beyond any reasonable doubt, that was also an endorsement of “internationally acclaimed Bible teacher, speaker, and minister-rabbi” Ralph Messer by T.D. Jakes’ spiritual daughter pastrix Paula White. So, the evidence does begin to reveal that White’s being a bit disingenuous in her statement above. We’re also about to witness something else, which proves to be quite interesting. Watch now as Messer performs his scroll-wrap ceremony with his dear friend Paula White. By the way, this was on her own TV program three years before Messer’s coronation of former King, Eddie Long—himself a good friend of T.D. Jakes. Let’s think this through now; pastrix Paula White has a dear flamboyant friend like Robert Messer, whom she’s often worked with. It simply stretches past the point of credulity to believe that he’d put you through such a ridiculous ceremony as we just witnessed and then you’d have no recollection of it. As far as pastrix Paula White’s penchant for appearing to be less than forthright, we remind you of Benny Hinn and Paula White Side By Side concerning an alleged affair. Their remarkably similar statements didn’t exactly come across as truthful; then they disappeared only later to reappear in an altered form. Why all the obfuscation? I think we have reason to ask: Is this something White was taught? Returning to T.D. Jakes, a pattern seems to be emerging. For years T.D. Jakes has, at best, been very vague concerning his beliefs about the nature of God. At worst, Jakes has also seemed to come across as disingenuous as to what he actually believes about the Trinity. As I close this, for now, in addition to being Word Faith royalty there’s no doubt that T.D. Jakes is also a very successful business man. It’s very likely that he’s well versed in doublespeak. We see what looked like an example in ER2 where Jakes essentially said, “I’m a trinitarian-modalist.” It seems his charge pastrix Paula White’s learned well.